You thought Two Tribes were dead – you were wrong. Or at least, you were somewhat wrong. It’s true that the creators of the twin stick shooter/platformer title RIVE don’t plan to make any new games. However, that won’t stop them from releasing RIVE on the Nintendo Switch this year. 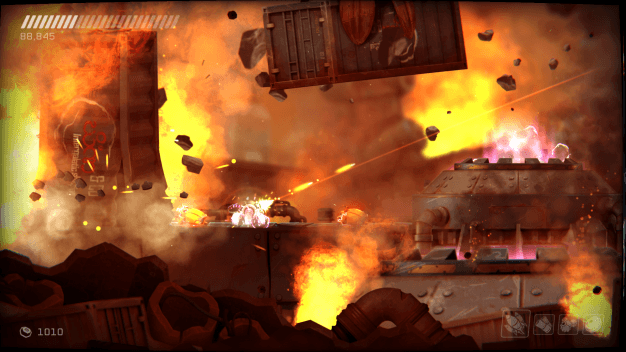 RIVE (meaning ‘to tear apart violently’) is filled with references to the creators’ favourite games, contains spectacular set pieces and humour provided by the game’s main characters. Mark Dodson, of Star Wars and Gremlins fame, voices both space scavenger Roughshot and the robot butler DLL. RIVE was originally planned to release on the Wii U but instead has been bumped up to the Nintendo Switch. 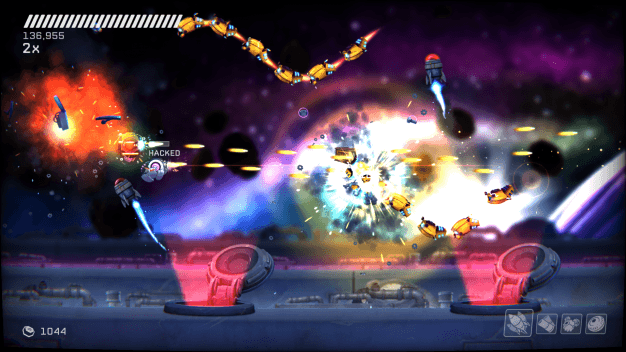 On the Switch, RIVE will be playable in ultra-fast, super-challenging 60 FPS glory – such luxury! Two Tribes are currently working together with Engine Software to release RIVE on the Nintendo Switch. Details of the game’s exclusive Nintendo Switch expansion, as well as a release date, will be announced later. Two Tribes have always been part of Nintendo tradition, starting all the way back with Toki Tori, another beloved title. The creators are absolutely ecstatic to finally bring RIVE to an updated, next gen Nintendo console and no doubt fans will be just as thrilled.